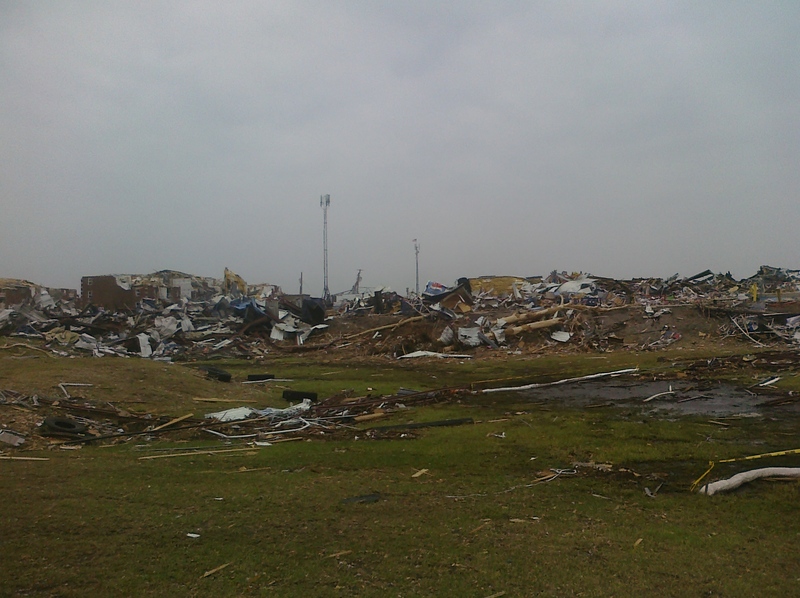 Joplin – May 22, 2011 – An F5 tornado hits the city of approximately 50,000 people. It is 6 miles long, and 1 mile wide. 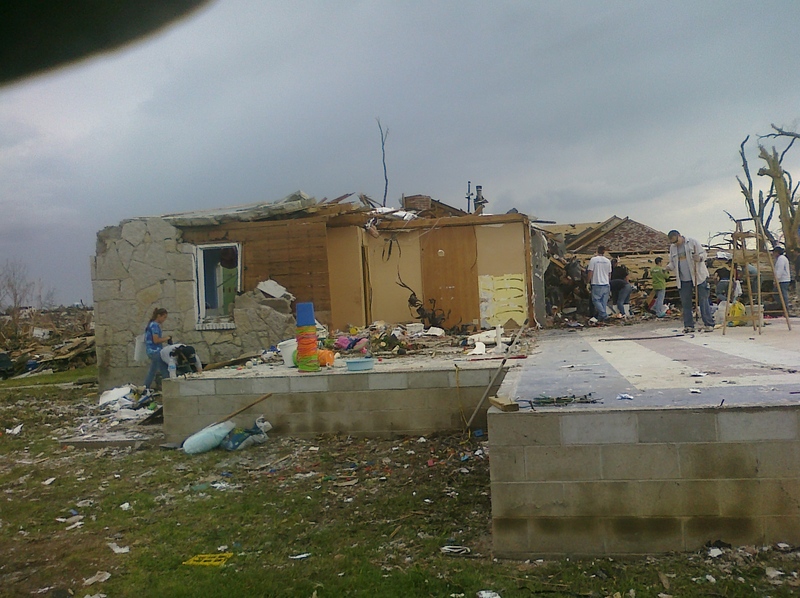 Thirty-five percent of the city is destroyed. As of this morning, there are 139 people confirmed dead. Some are still waiting to be identified. The view has been described as though a bomb has gone off by many who have been there to help. 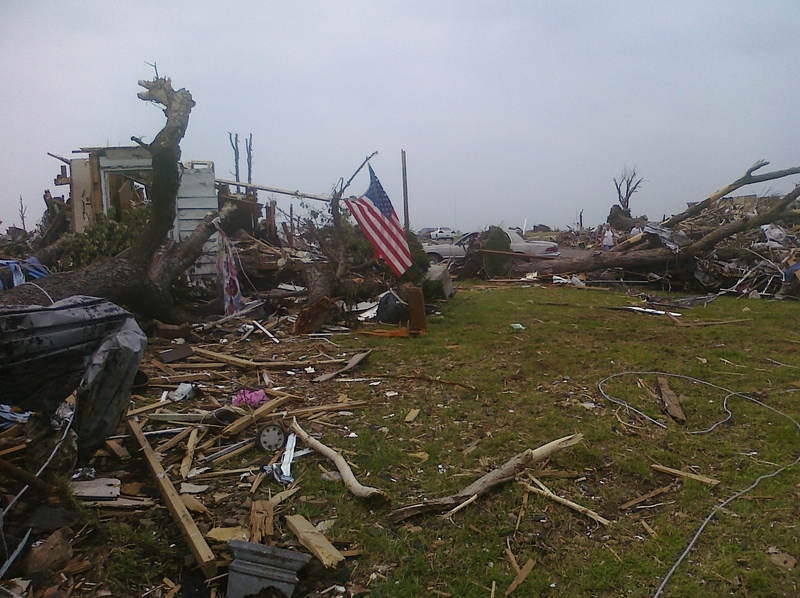 A flag was placed at the site of every home where someone lost their life. . . This was a typical sight. It went on in every single direction we looked. Much of what people had had in their homes, or their own personal home, was now indiscernible. 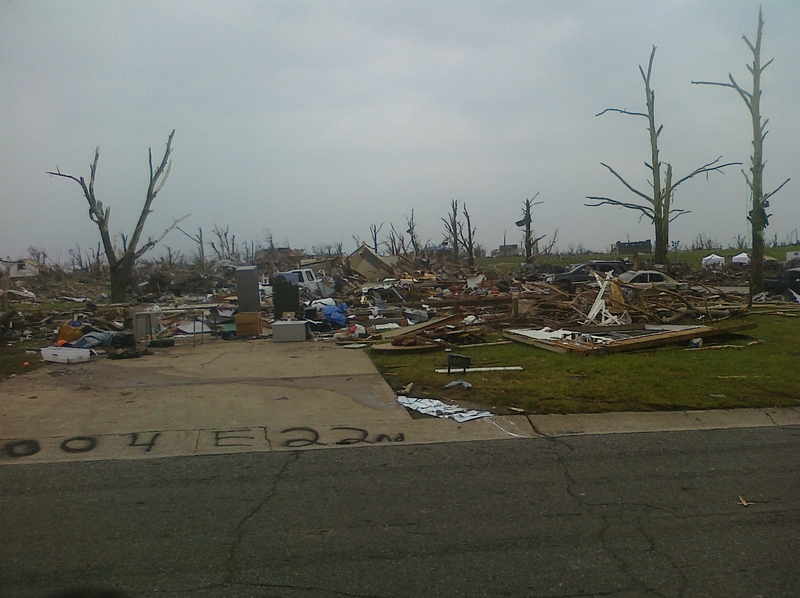 Remnants of cars, refrigerators, drywall strewn everywhere. This is where we worked the first day. I did not know for over an hour that this was a preschool instead of a home because it was so unrecognizable. 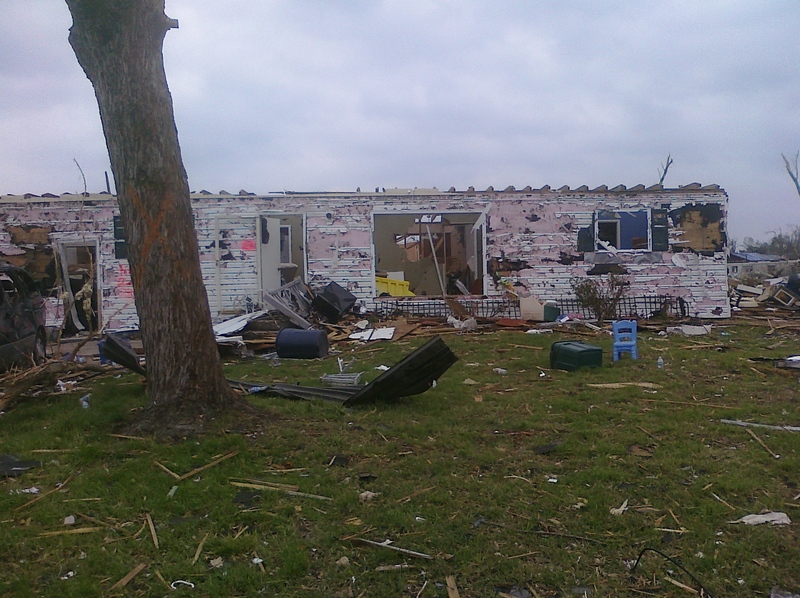 Childrens’ toys, books, photos, thousands of memories were flung across the yard, across the city with no discernment from the tornado as it tore through the city. We worked for hours. Each person had different roles, depending on their ability and knowledge. Some are in the background using chainsaws to bring down remaining trees stripped of all their bark. 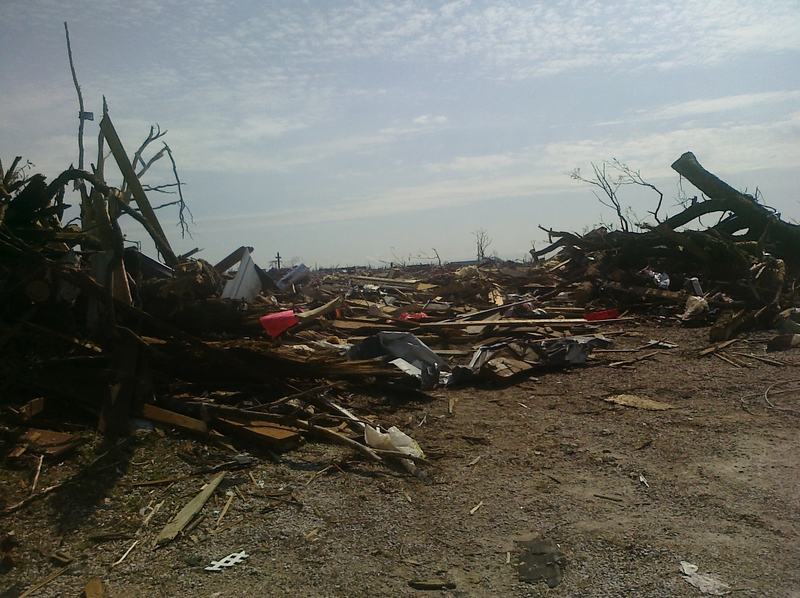 Each type of remains was stacked along the streets according to their type – for example, wood, concrete, personal items, and hazardous materials were all separated. The middle of the afternoon of the first day we were working, a severe storm swept across the city. Driving rain, winds, severe lightning. And no place to take immediate shelter because there were no structures left in sight. We eventually made it to a shelter, where we stayed for 1 – 2 hours as the storm continued raging on. We were soaked, filthy, exhausted. Thoughts poured through my mind with each scene. What was going on in everyone’s mind on a Sunday evening just earlier in the week as people fought to save their lives, fought to save family members, fought to save complete strangers? The city seemed barren and destroyed as we left. I felt personally defeated. Our second day was spent working at an individual’s home, under the direction of Americorp. Again, we gathered items from the home in appropriate stacks. On the left side of this photo was a table set up for any personal items found. For perspective of what we saved, it was a standard-length banquet table. The owner arrived as we were working on his home (not shown). He questioned what we were doing, as he had no idea help was on its way. There are no words to describe his emotions as he realized complete strangers had come from across the country to help. Ohio. Arizona. Texas. Alabama. Oklahoma. Arkansas. Kansas. Tennessee. 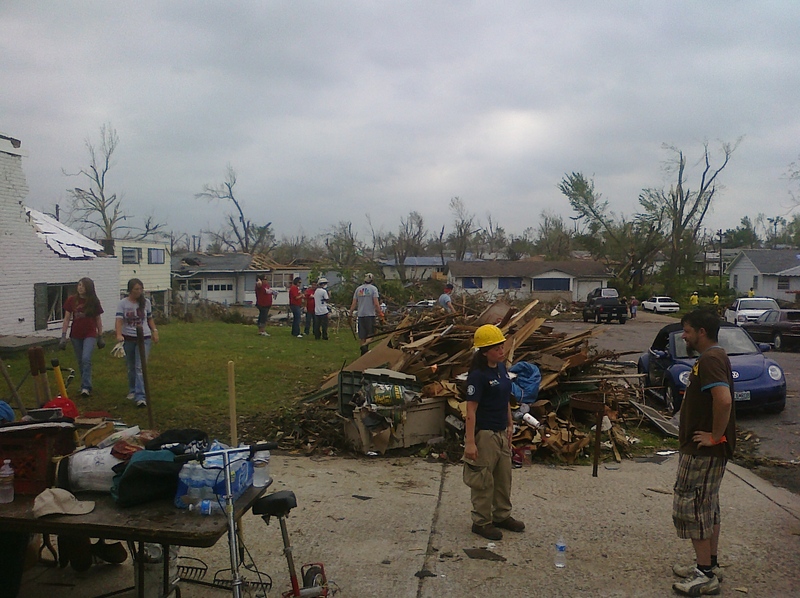 These were the people we met, all coming together to help restore a city that most had never heard of before May 22, 2011. The homes, such as this one, were so unrecognizable that they had to paint the house number on anything they could find remaining. The owner had an RV parked in driveway in this photo. It flew in the air, hit the roof of the house next in line, dashed across another. It finally hit a pine tree that somehow helped to bring it to its landing point. There were no visible remains of it anywhere. We worked on several other homes, and passed many that looked like this as well. I asked if it was a duplex because I could not tell. It is a single home. Every home we passed, I wondered what their story was. The homes were also marked in paint if a deceased person had been located, or if the home had been searched but none were found. This is why there is an ‘X’ on this tree. I wondered what would show up if my house was thrown about like a rag doll. What would the story tell about me if strangers were sifting through my belongings? What do I own, and how valuable is it to me? They were not able to hold onto items one thinks of in an emergency – records, driver’s license, photographs. They were clinging on to whatever possible to save their very lives. The thought has gone through my mind as I look at this photo: Do I possess my possessions, or do they possess me? We spoke with numerous homeowners, to answer that question from their perspective. Each person recited an almost identical statement: This is all just ‘stuff’. I can replace it. You can’t replace human lives. 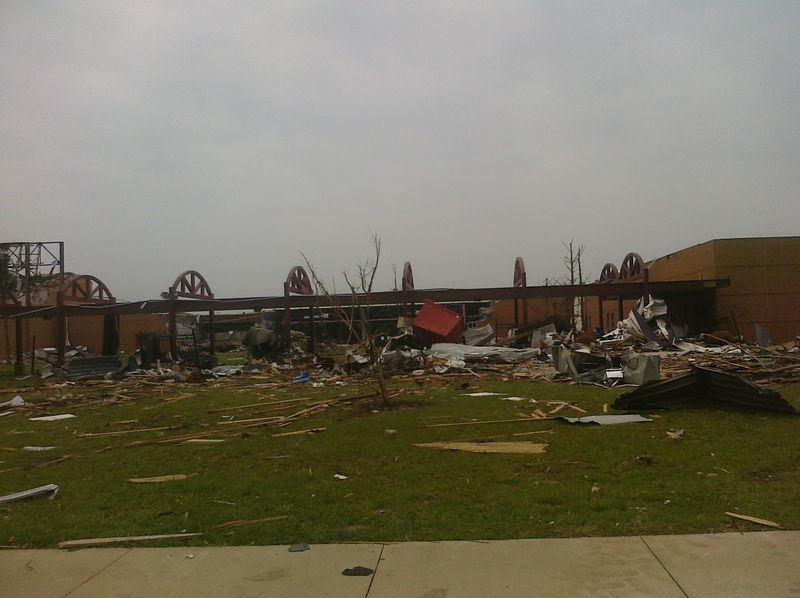 Our closest personal attachment to Joplin was this high school. They were holding their graduation ceremony, and it ended just prior to the storm. One student who had just graduated was Will Norton. He tragically was in an SUV with his father, returning home. They were both wearing seat belts. The 200+ mph winds caught him, and his body was not found for days. The school has vowed to resume classes on a normal schedule in the fall. Many students expressed their grief over losing the physical memories of where they had spent their high school years, that was being destroyed just as they celebrated their graduation. My husband rode in the MS 150, now called Bike MS, for many years. It is a 2-day ride, 150 mile bike ride to raise funds for people living with Multiple Sclerosis. The riders would end their first night here at the high school. We had been at the school, in the city, countless times. We were completely disoriented. 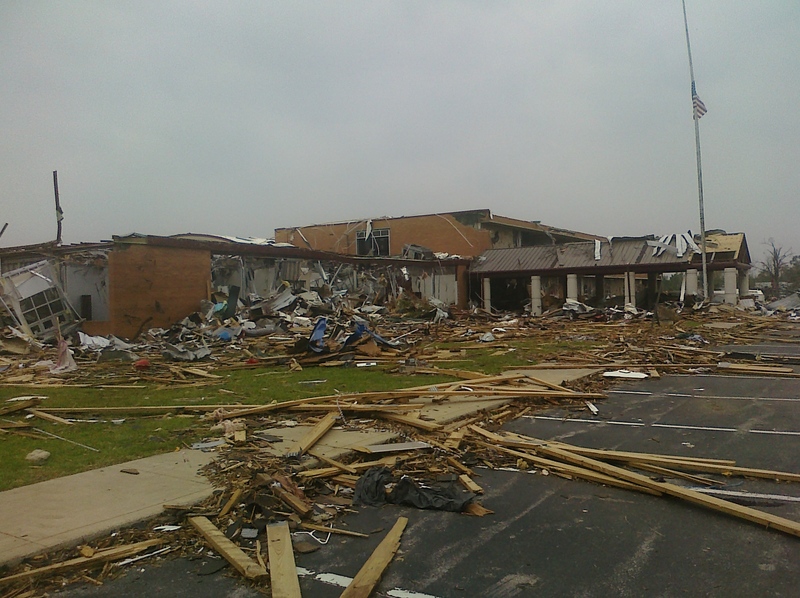 We walked around 3 sides of the school before we were able to determine things like the main entrance, the gym. 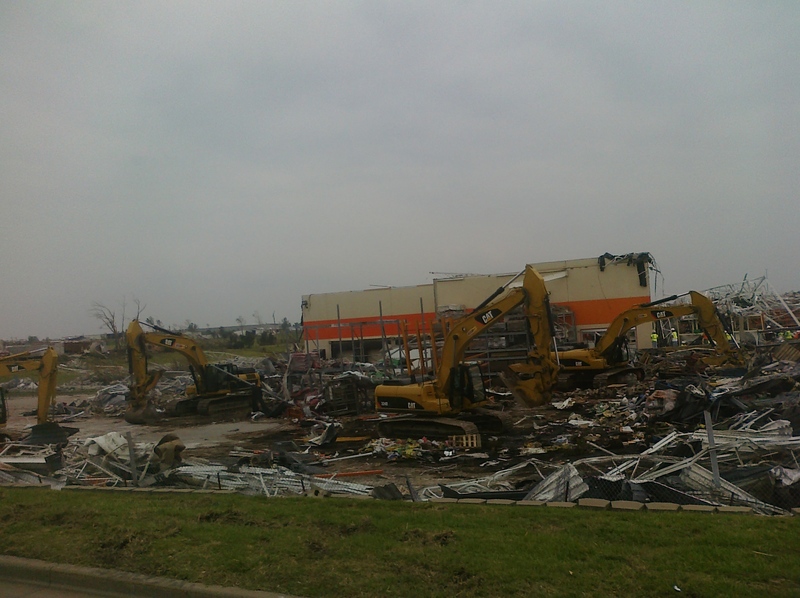 Dean Wells was one of many people at the Home Depot when the tornado hit. His story has been shared in the news and by President Obama during the memorial service. He was working a shift at the Home Depot, managing the electrical department, when the siren rang out. He rushed to move people to safety. He went back for others again and again, until a wall came down on top of him. Most of the building was destroyed as you can see, but Dean had saved the life of his coworkers and his customers, while losing his own in the end. 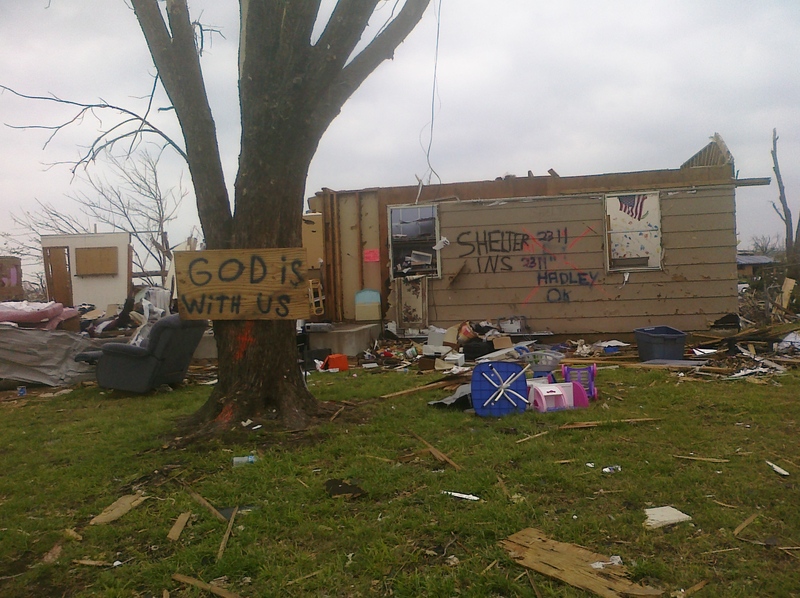 Joplin will rebuild. 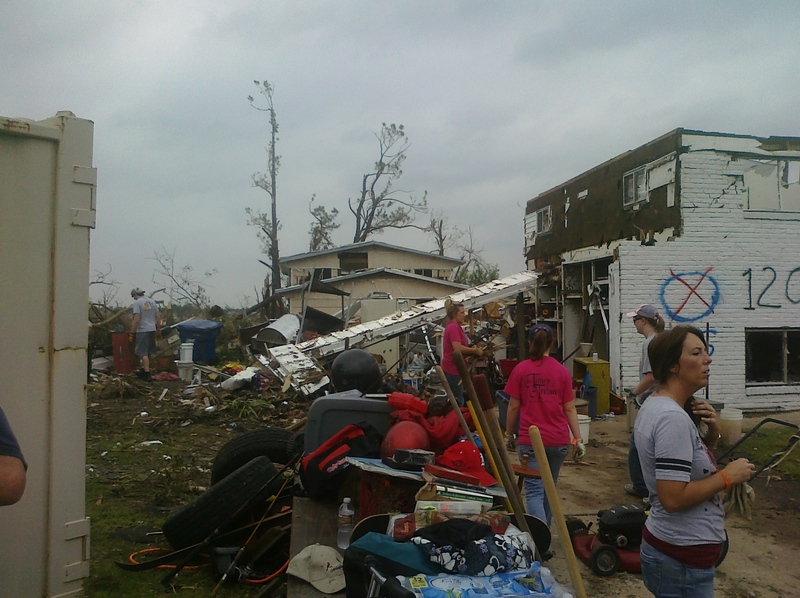 Joplin will be stronger. Joplin will be better than ever. 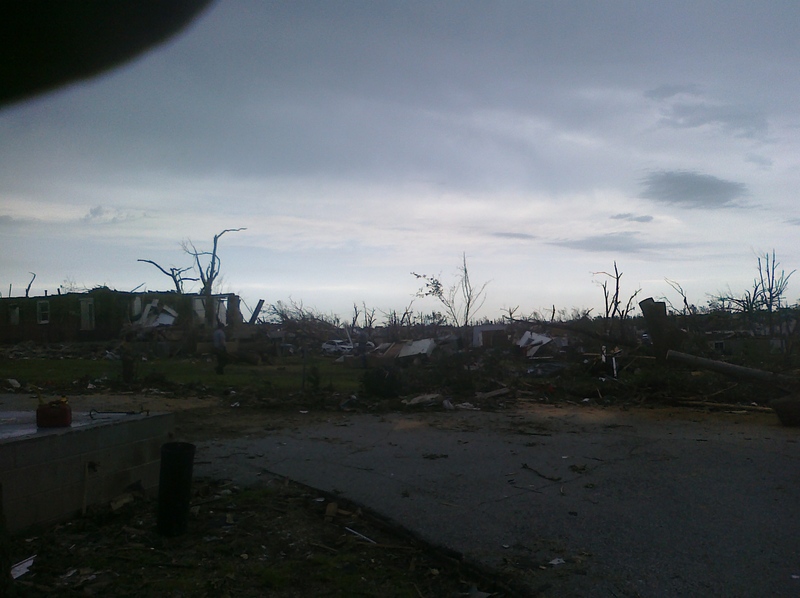 Joplin is the essence of perseverance in some of the greatest pain and tragedy. This is the Pepsi Cola Plant. It was built with pre-stressed concrete. Like so many buildings, it is virtually indiscernable. Many other photos have been posted of other buildings, such as these by a Seattle newspaper. President Obama and Governor Jay Nixon helped lead a memorial service on Sunday, May 29th. His words brought the beginning of some healing for people. This is the official transcript from KY3 of his speech. I am still speechless and numb from our time spent there so far. We will be back to help. Before and after scenes of the city, courtesy of the News-Leader. . . 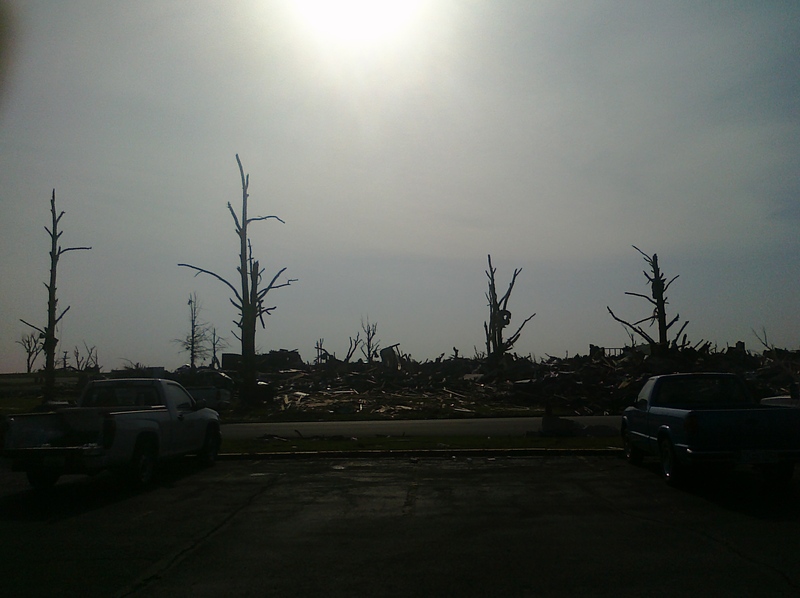 It shows what the city looked like prior to the tornado and afterwards. 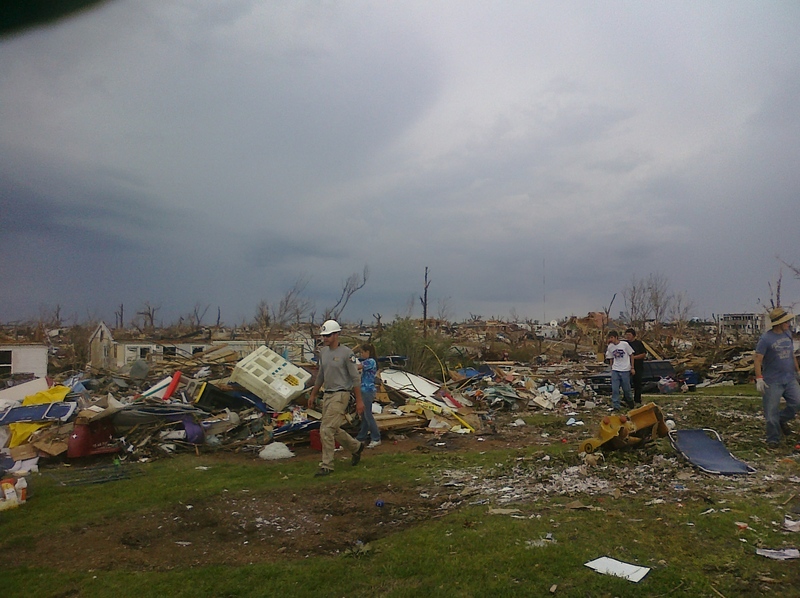 Thank you for each person who has helped in the rebuilding of Joplin, in any way.